A unique, simplified approach to using arpeggios when improvising. 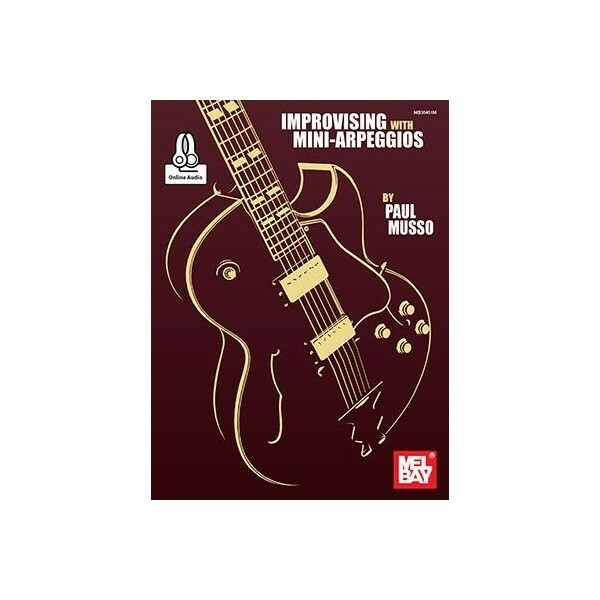 This book and the accompanying online audio tracks are perfect for guitarists who want to improve their technique and improvisation skills. This method makes it possible to seamlessly incorporate arpeggios into jazz improvisation. This book features over thirty arpeggio-based licks spanning major, minor, dominant, blues and ii-V-I categories. The book also presents straightforward methods for using arpeggios creatively. Most guitarists view arpeggios and scales as separate entities - this book solves this problem by illustrating the relationship between eight simple arpeggio fingerings and scales/modes. Several simple etudes, in the form of mini arpeggios, are included. These exercises will provide the student with an entire world of musical possibilities.